One of my new years resolutions that I mentioned before was to eat healthily and the same goes for Andrew so we have been thinking of ways that we can still go out and do what we enjoy- namely our Friday nights out together spent at cocktail bars - but just a bit healthier. He decided that from now on he wants to stop drinking Prosecco at every opportunity (if that is even possible) and try to drink G&T's as they are known for being a low calorie drink. According to the internet, they can be around 100 calories per drink or as little as 35 calories each with a diet tonic water. Another great thing I discovered while researching G&Ts is that it is an easy drink to modify into a tasty cocktail with just a few more ingredients. And on top of that it sounds sophisticated so Andrew can be all grown up while I continue to order my chocolate cocktails. Although this was pretty tasty so I might be joining him every now and again! 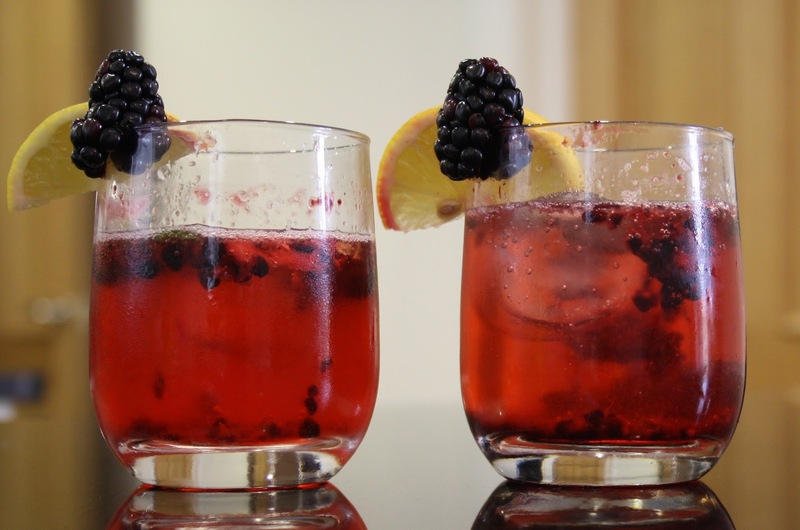 I had a look for some ideas and decided on a blackberry, lemon and mint cocktail which I found on this website. I changed it a bit as I went along but it's near enough the same. They are the perfect fruity, low calorie cocktails. When I got to making it smelt so fresh and energizing I was happy enough drinking it in the day without the gin. These were loads of fun to make, quick and easy and the smell on it's own was delicious and filled the bar kitchen! I will definitely be getting Andrew over one weekend to try them out together! *Thank you to Waitrose for the gift voucher to buy the ingredients and Hendricks for the bottle of gin! Fancy something hot? Check out this recipe! Ah this sounds delicious - definitely going to try this at home myself! This looks gorgeous, my friend absolutely loves gin but we always stick it with lemonade... might have to get more adventurous! LIFESTYLE: Where To Go On Holiday This Year?